I sat down nearly two hours ago because I wanted to write here. The problem is that I had no idea what to write about. 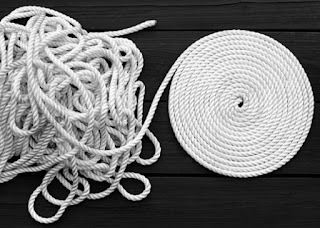 My brain kept circling around a problem that I'm having that I can't figure out a solution to and sadly, it's something that I can't really write about here. Then, inspiration struck! Okay, that's dramatic. It's more like I was sitting on the couch, staring through my laptop as I tried to figure out what to write about and suddenly I remembered that my laptop has the sticky notes feature. I love this feature but somehow I go months without remembering that I have it. Tonight, I remembered and I figured out a way to make it work for me. Yay! 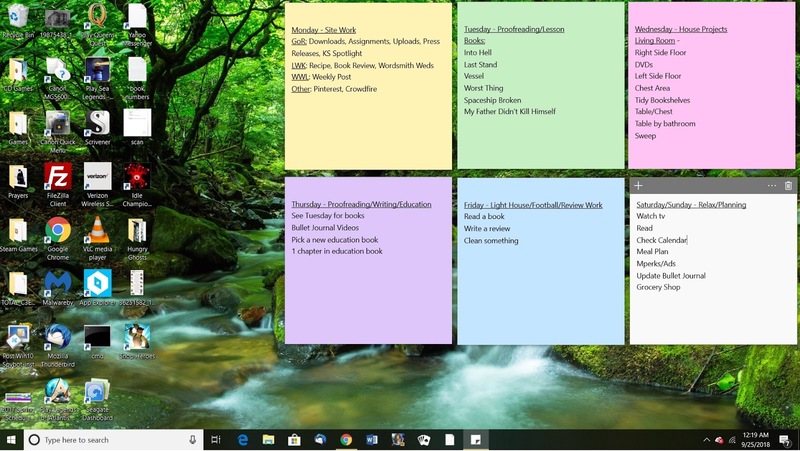 Last week, I wrote about my idea for "themed" days to help me focus on what needs to get done. In the time since, I've let the idea sit in the back of my head and not really done much with it. My oldest read my post and told me that he liked the idea and thought that it would really help. This week he's here with me and today we got to work on it. I spent the day working on various site(s) and hanging out with him. It was nice to get that stuff done, but I realized that my memory issues have been getting a bit dodgy lately and I kept feeling as if I were forgetting something I should be doing. Enter...the sticky notes! The desktop on my laptop. I need to do an icon clean out! 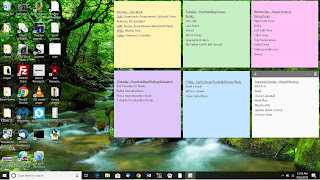 I sat down at my laptop and created a sticky note for each theme. Then, on each one I listed the theme and any/all tasks that need to be completed on that day or for that project. The nice thing is that these are easily to make changes to if I need to and I can view them any time where I'm not sure what I should be doing. I plan on doing my weekly planning each weekend and whenever I sit down to do that, I'll be making sure that these are updated for the upcoming week. Doing this tonight made me realize that chaos has crept into other areas of my world and so I'm going to be sitting down as soon as I can to work on a similar system for those areas. The one that my brain keeps coming back to is my writing. I need to finish Nevermore and then come up with a plan for future books. It's time that I stop flying so much by the seat of my pants and have a plan. I've always worked so much better that way, but for whatever reason, I have't applied my need for order to my writing. I need to work on that. It's time to take the chaos that is my world and bring it back in order. It's time to go from chaos to contained ...a place for everything in my world and as much of it as possible in its place.